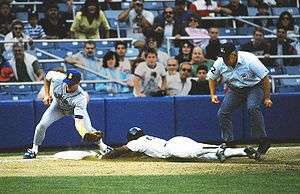 Rickey Henderson, the all-time leader in stolen bases, slides safely into third base. A stolen base is a baseball statistic credited to a baserunner when he successfully advances to the next base while the pitcher is throwing the ball to home plate. Under Rule 7.01 of the Major League Baseball's (MLB) Official Rules, a runner acquires the right to an unoccupied base when he touches it before he is out. Stolen bases were more common in baseball's dead-ball era, when teams relied more on stolen bases and hit and run plays than on home runs. Rickey Henderson currently holds the MLB career stolen base record with 1,406. Following Henderson is Lou Brock with 938 stolen bases, and Billy Hamilton, who is one stolen base behind Brock with 937. Ty Cobb (892), credits Cobb with 892 career stolen bases; Baseball Reference lists 897 stolen bases for Cobb. Tim Raines (808), Vince Coleman (752), Arlie Latham (742), Eddie Collins (741), Max Carey (738), and Honus Wagner (723) are the only other players to have stolen at least 700 bases. Raines is the leader for retired players who are not members of the Hall of Fame. Hugh Nicol is the leader for the most stolen bases in one season, with 138 stolen bases in 1887. Before Henderson surpassed Brock in 1991, Brock had held the record with 938 stolen bases. He had held this record from 1977 to 1991. Before Brock, Hamilton held the record for eighty one years with 914 stolen bases. Hamilton's record stood from 1897 to 1977. Before that, Latham held the record from 1887 to 1896. Latham was also the first player to collect 300 career stolen bases. With Kenny Lofton's retirement in 2007, 2008 was the first season since 1967 in which no active player had more than 500 career stolen bases. From 2008 until 2010, no active player had more than 500 stolen bases. Juan Pierre collected his 500th stolen base during the 2010 season. He was the leader in stolen bases for active players until his retirement at the end of the 2013 season. Ichiro Suzuki currently holds the most stolen bases for active players (508). Rank Rank amongst leaders in career stolen bases. A blank field indicates a tie. Player (2016 SBs) Number of stolen bases during the 2016 Major League Baseball season. SB Total career stolen bases. denotes elected to National Baseball Hall of Fame. Lou Brock held the stolen base record from 1977 to 1991 and is one of just three players with more than 900 career stolen bases. Sliding Billy Hamilton held the stolen base record for 80 years. 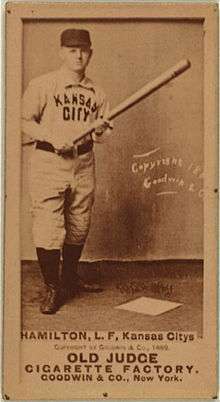 Arlie Latham was the stolen base record holder from 1887 to 1896. Juan Pierre won multiple stolen base titles and finished his career with 614 stolen bases. Stats updated as of the 2016 season. ↑ A player is considered inactive if he has announced his retirement or not played for a full season. ↑ "Official Rules: 7.00 - The Runner". Major League Baseball. Retrieved January 27, 2014. ↑ Okrent, Daniel; Lewine, Harris (2000). The Ultimate Baseball Book, Expanded and Updated. Mariner Books. p. 33. ISBN 0-618-05668-8. 1 2 3 4 5 "Career Leaders & Records for Stolen Bases". Baseball-Reference. Sports Reference LLC. Retrieved March 4, 2014. ↑ MLB Advanced Media. "Ty Cobb Stats, Video Highlights, Photos, Bio". MLB Advanced Media. Retrieved 2014-03-08. ↑ "Ty Cobb Statistics and History". Baseball-Reference. Retrieved March 4, 2014. ↑ MLB Advanced Media. "Arlie Latham Stats, Video Highlights, Photos, Bio". MLB Advanced Media. Retrieved 2014-03-08. ↑ MLB Advanced Media. 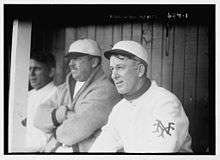 "Honus Wagner Stats, Video Highlights, Photos, Bio". MLB Advanced Media. Retrieved 2014-03-08. 1 2 3 4 5 6 "Progressive Leaders & Records for Stolen Bases". Baseball-Reference. Retrieved February 20, 2015.